From the moment Thanos was teased during The Avengers post-credits scene, MCU fans knew that Marvel had big, big plans for its brooding Mad Titan. The first port of call was Guardians of the Galaxy, where it was revealed that Josh Brolin’s galactic tyrant was the one pulling the strings behind Ronan the Accuser. Fast forward three years (and change) and we arrive at Avengers: Infinity War, which really presents Thanos’ time to shine. It does raise one potentially fascinating question, though: why did the Mad Titan wait until Phase 3 (and MCU movie #19, no less) before enacting his master plan? 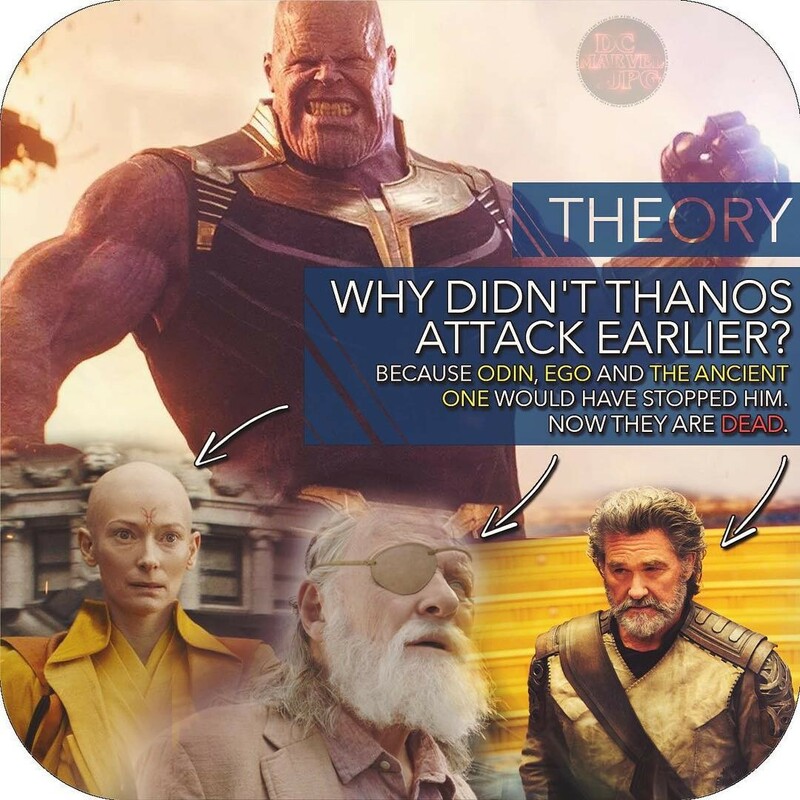 Well, we may just have an answer thanks to an Instagram post from DC.Marvel.jpg (h/t ComicBook.com), which claims that Thanos was actually biding his time until the universe’s other major threats like Odin, Ego and the Ancient One had perished, thereby opening up a power vacuum in which he could reign undisturbed. It’s certainly interesting, but surely Thanos had enough power to steamroll past any other galactic threat on his quest to acquire all six Infinity Stones? Besides, at this point in the MCU timeline, the Mad Titan was yet to discover the whereabouts of the Soul Stone (spoilers: it’s on Vormir, guarded by a wraith-like Red Skull), which explains the torture scenes involving Nebula. This, coupled with the limited runtime, goes some way to explaining why Joe and Anthony Russo – not to mention Christopher Markus and Stephen McFeely – allowed Thanos to lay siege to Xandar offscreen, along with forcing Eitri (Peter Dinklage) to forge the Infinity Gauntlet against his will.